These lessons address a wide range of topics from vocabulary and verbs to occupations and places and each topic is fully presented by a native speaker of English before the children engage in different games and activities. This process of “instruction => application” is a proven method to creating a structured and productive classroom and it ensures that the children are exposed to what they will be producing and how to properly utilise it before engaging with it on their own. At the elementary school level the focus in on meaningful communication and building the skills of listening and speaking through pair and group games that emphasises more student talk time. 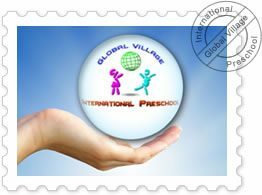 At the preschool level there is more choral practice and repetition to learn how to properly produce the English sounds. We also make use of popular English songs and dances to ensure there is plenty of movement and activity within the lesson.